School searching in Savannah for the 2019-20 school year? 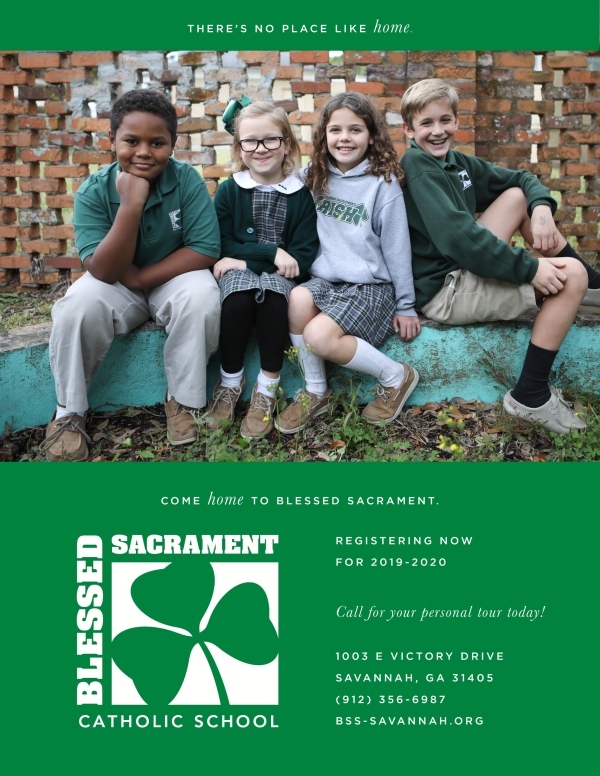 Registration is now open for the 2019-20 school year @ the newly redone Blessed Sacrament School, a landmark preK-through 8th grade Savannah private Catholic school. Learn more about Blessed Sacrament here. Call or email for your personal tour: info@bss-savannah.org or call 912-356-6987. This entry was posted on Tuesday, February 5th, 2019 at 1:58 pm	and is filed under Blessed Sacrament Catholic School, Development/Education, Pre-K Programs, Preparing for Preschool, Schools/Childcare. You can follow any responses to this entry through the RSS 2.0 feed. Both comments and pings are currently closed.